Your summer events wardrobe is sorted with Roland Mouret. Roland Mouret Edwin dress, available here. This lemon yellow dress is absolutely perfect for this spring summer and any events on your calendar. The form fitting style with a kick out detail at the hem is stunning and flattering. The yellow colour is also a statement, but without being too over the top. Roland Mouret Bob Bag, available here. Add this super cute "bob" bag to your dress to mix in some more subtle paste colours. 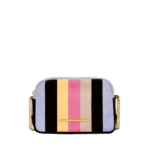 Wear with the chain strap for a cross body style, or stow the strap away and use as a clutch bag. Roland Mouret Zeppo Sunglasses, available here. 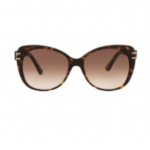 Pair with these cat eye Zeppo sunglasses in tortoiseshell to keep the sun out of your eyes during the day time. And just slip them into your bag as the sun goes down. Roland Mouret Momo sandals, available here. To match up some colours in the bag and make a subtle shoe statement, try these beautiful pastel coloured sandals, good for day and night!